Jumping Spiders - Fall Festival Game Idea! 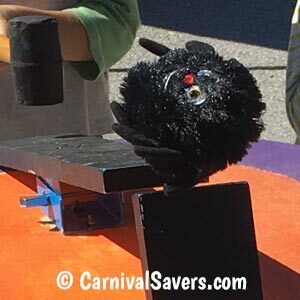 Jumping Spiders - DIY Fall Game! DIY Jumping Spider Game - Kids Love it! Wooden "Spider's Web" shown on a box. 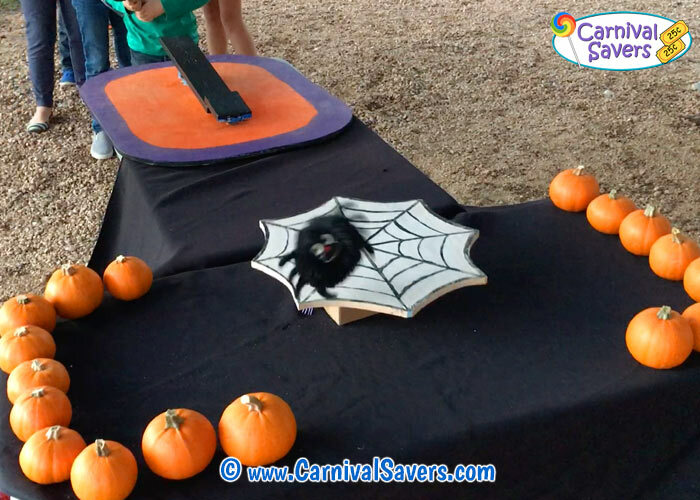 Weeks before the carnival, have a woodworking adult construct the "spider launcher and spiders web landing pad" using building supplies listed above and our summary sheet you can click to Download the Jumping Spiders 5 Steps to Making this Game. 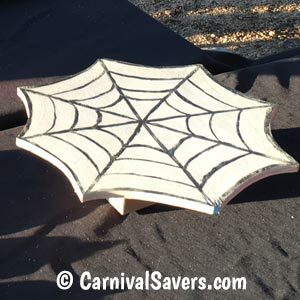 First, your volunteer will need to make the Launch Pad and Wooden Spiders Web landing pad. Our Launch Pad is about 30 inches long by 23 inches wide with rounded corners. Our "Web" is about 15 inches cut in an spider's web shape. Of course, you will want to paint it. We used fall colors on the launcher and flapper! Feel free to add some black glitter to the web - that would add a nice touch! Volunteers have an easier time if this fall game is setup on a table (less bending to retrieve the spiders that did not land on the web). Children are given 3 chances to hit the end of the launch pad and try to get the spider to land on the web. Note: Preschool children may have a tough time lifting the mallet and hitting it on the end of the wooden slat. 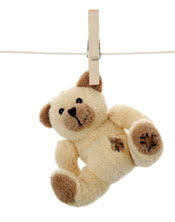 Feel free to allow parents to help hold the mallet with the child to make this game easier for the little ones! JUMPING SPIDERS SUPPLIES & FALL PRIZE IDEAS TOO!